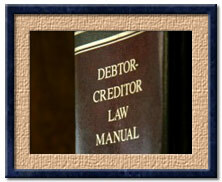 Creditors of a Chapter 11 debtor have a variety of rights. They are free to examine the debtor at the meeting of creditors, about the debtor's assets and liabilities. If the case is complex, they can engage in more extensive examinations under Bankruptcy Rule 2004, to learn more about the financial condition of the debtor, any matter which may affect the administration of the estate, and regarding the debtor's right to a discharge. A creditor may file a request for special notice, which will give him notice of pleadings and actions in the case. Does a Claim Need to Be Filed? 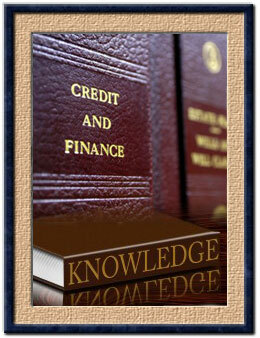 A creditor in a Chapter 11 case can review the debtor's schedules of assets and liabilities. If the creditor believes that the debtor has properly listed the creditor's claim, and has not designated it as "contingent, unliquidated or disputed", then the creditor may rely on the schedules and need not file his own proof of claim. His claim is deemed allowed, under the provisions of Bankruptcy Code Section 1111. He is free to file his own claim, but need not do so. If he elects to do so, he is required to attach copies of the pertinent underlying documents which support the claim, such as a contract, note, judgment, or other document. What if a Debt is Omitted From the Schedules? It is not uncommon for a debtor to inadvertently or through lack of knowledge omit a creditor from the original schedules. In this event, the debtor will file an amendment to the schedules, adding the omitted creditor, and giving the creditor notice of the proceedings. If the debtor amends the schedules to change the amount or status of a creditor's claim, then he is required to give written notice to the affected creditor, under Bankruptcy Rule 1009(a). It is the better practice for a creditor to simply file a proof of claim. If he does so, the proof of claim supersedes the listing on the debtor's schedules, under Bankruptcy Rule 3003(c)(4). There is usually a deadline for the filing of proofs of claim, typically about 120 days after the filing of the case, and 180 days for tax creditors. Under Bankruptcy Code Section 502(a), a timely filed and completed proof of claim is deemed allowed. This generally means that the creditor has attached to his proof of claim copies of the relevant supporting documents. Under Bankruptcy Rule 3007, a debtor can object to claims, in whole or in part, as well as to the status of claims, i.e., secured or priority. The objection initiates a contested matter. The creditor is given notice, usually 30 days, of the objection and is given the opportunity for a hearing before the bankruptcy judge. If notice of the objection is served on the creditor, and there is no response, then the debtor can request that a default order be entered granting the requested relief. The Court typically grants the request, provided that there is a valid underlying basis for the objection. The proper amount and status of claims is quite important for determining voting rights on the plan of reorganization to be proposed by the debtor. Under Bankruptcy Code Section 101(16) and (17), an equity security holder is defined as the holder of a share in a corporation, or an interest in a limited partnership. 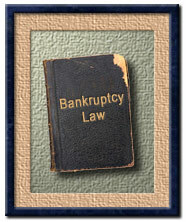 This term therefore is not applicable to individual bankruptcy cases. An equity security holder can participate in the Chapter 11, and is allowed to file a proof of interest (similar to a proof of claim). If he believes that his interest has been properly listed in the debtor's filed List of Equity Security Holders, then he is not required to file a proof of interest. If, however, the interest is listed as contingent, unliquidated or disputed, then he is required to file a proof of interest by the claims bar date. If he fails to do so, then he may be barred from voting on the plan or receiving distributions thereunder. As a general rule, under bankruptcy law's rules of priority, the equity security holders are in the most junior position as far as being paid, and often receive little or nothing under a plan. What Happens if a Claim is Filed Late? There is a body of case law which allows the filing of late claims or interests, for good cause shown and excusable neglect. However, to avoid adverse consequences and possible loss of valuable legal rights, the best practice is to timely file the proof of interest or claim, with all of the required attachments.